"It has become increasingly clear to me that the withdrawal agreement, which is being finalised... even as I write, will be a terrible mistake," he wrote in a stinging resignation statement. "Brexit has divided the country. It has divided political parties. And it has divided families too," he wrote, adding that the current proposal "won't be anything like what was promised two years ago." 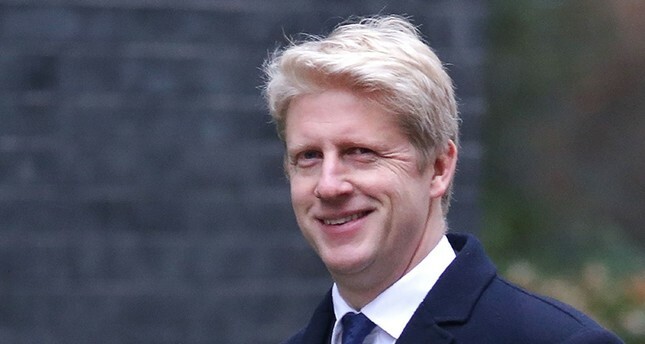 Johnson -- who had backed staying in the EU in the 2016 referendum -- is the younger brother of Boris Johnson, who spearheaded the pro-Brexit campaign and quit as foreign secretary in July over May's Brexit blueprint. "My brother Boris, who led the leave campaign, is as unhappy with the Government's proposals as I am. Indeed he recently observed that the proposed arrangements were 'substantially worse than staying in the EU'. On that he is unquestionably right. If these negotiations have achieved little else, they have at least united us in fraternal dismay," he said. Johnson said "Britain stands on the brink of the greatest crisis since the Second World War." A spokesperson for May's office said later Friday that under no circumstances would a second referendum be held. "The referendum in 2016 was the biggest democratic exercise in this country's history," the spokesman said. "We will not under any circumstances have a second referendum."